AUSTRALIA has set up a consulate in Lae, Morobe Province and this week they named Paul Murphy as Consul-General. As PNG’s commercial hub, Lae is integral to Australia’s over $18 billion investment in PNG. Lae is also home to a number of Australian businesses. The Consulate-General will boost Australia’s presence in Papua New Guinea and bolster the growing trade and investment relationship between our two countries. It will also offer consular and other services to the thousands of Australians living in the area. The Consulate-General will support the delivery of Australia’s aid investment in PNG, expected to be over $550 million in 2016-17. Our investment is focused on promoting effective governance, enabling economic growth and enhancing human development. 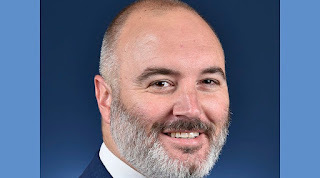 Mr Murphy is a career officer with the Department of Foreign Affairs and Trade (DFAT) and was most recently Assistant Director, Free Trade Agreement Division. He has served overseas as First Secretary (Economic), Australian High Commission, Port Moresby. In Canberra, Mr Murphy has served in the Iraq Task Force and the International Economic and Finance Section. He holds a Bachelor of Economics, Australian National University and a Bachelor of Arts, Australian National University. Mr Murphy will arrive in Papua New Guinea in January 2017 and operate from temporary premises until the new Consulate-General opens for business in mid-2017. I thank Australia’s Honorary Consul in Lae, Mr Alan McLay, for his excellent contribution in providing consular services for Australians over the past three years.